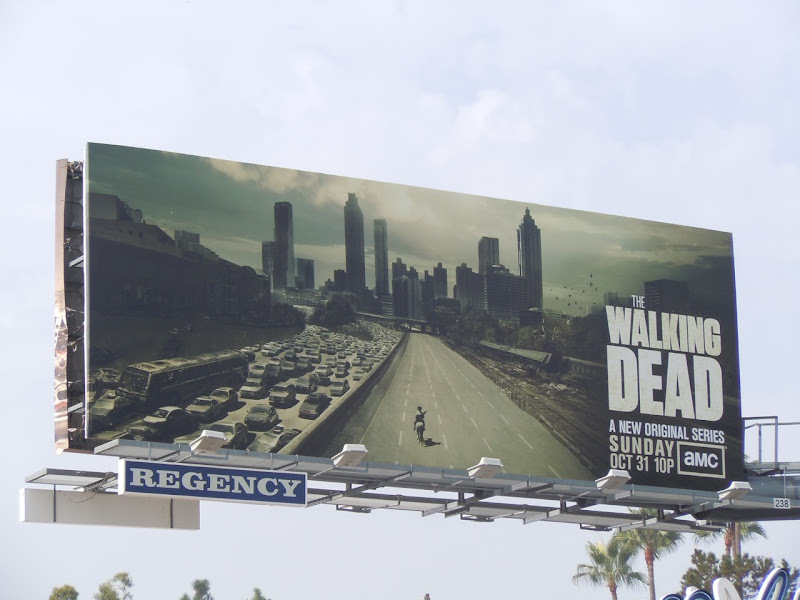 This billboard for new zombie TV show, The Walking Dead, makes for a refreshing change to L.A.'s skyline. Instead of vibrant colours and happy imagery, this bleak visual really stands out for daring to be different. For Daily Billboard there's also something slightly unsettling about post-apocalyptic visions of the future and to see an empty freeway in a place so dominated by cars like Los Angeles, makes for an even more arresting billboard. 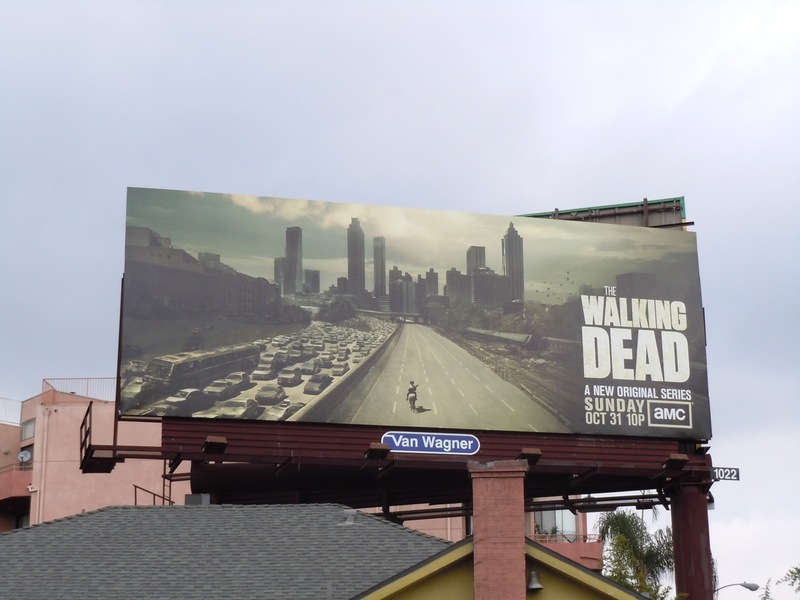 This TV billboard was photographed along Sunset Plaza on October 14, 2010. UPDATED: Here's the same creative snapped along La Brea Avenue on October 19, 2010.